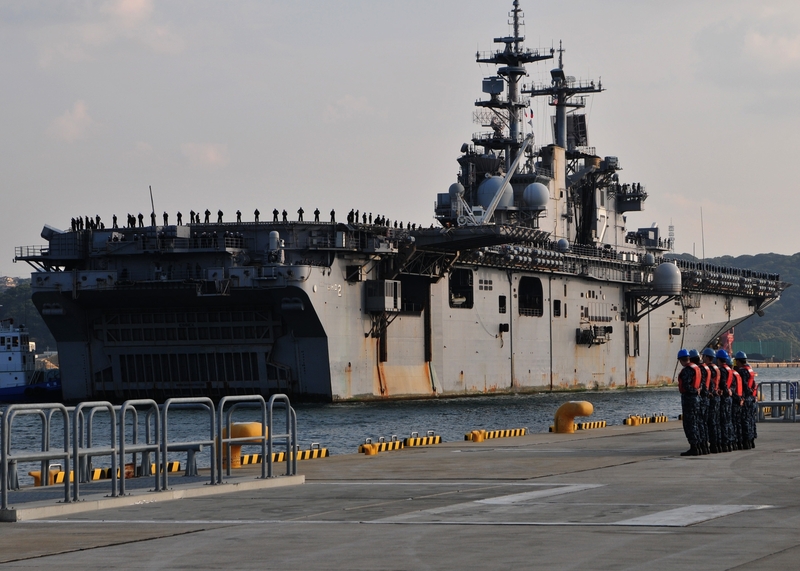 Amphibious assault ship Bonhomme Richard arrived in Sasebo, Japan, on April 8 for the Navy’s planned “hull swap” this spring with its older sibling, Essex. The BHR, as many call it, left San Diego in February for the cross-Pacific trek, carrying utility craft and about 800 Marines headed to South Korea for bilateral training exercises. 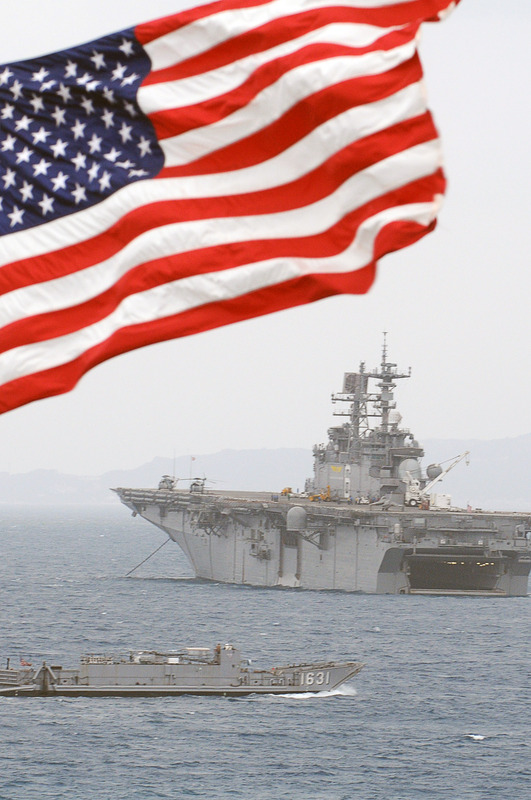 The ship stopped in Okinawa, Japan, before heading on course for Sasebo Naval Base, the forward-deployed homeport for 7th Fleet’s amphibious force. While in Sasebo, the San Diego sailors will train with their Essex counterparts before both ships’ skippers exchange command for the official swap and both crews settle into their new bunks aboard their “new” (or in the case of Essex, older) ship. The San Diego crew will then bring Essex to California, where the 20-year-old ship is scheduled to enter a San Diego shipyard later this year for some needed repairs and in-depth maintenance expected to take a year. Meanwhile, the Sasebo crew will operate the BHR, which itself got spiffed up in a shipyard period that included some upgraded systems and equipment, in 7th Fleet’s busy area of operations. Navy officials expect the ship will serve 10 years in the region. For Essex, the swap marks a return to its old homeport of San Diego. The big-deck ship had replaced the now-retired (and sunken) Belleau Wood in a swap in 2000, and for the past 11 years has operated in the Far East, deploying with Marines, training with allied navies and assisting with humanitarian aid and natural disaster missions. Last year, Essex and members of the 31st Marine Expeditionary Unit responded to the disaster in Japan after the devastating earthquake and tsunami. AWW ! served on the Essex 2001-2005, I tried getting orders there this year but my detailer said I cant do back to back SEA Tours….